Rose McGrory Social Media Management - Is YouTube really the #2 search engine in the world? Is YouTube really the #2 search engine in the world? If you’ve been around social media for any length of time, you’ll have heard the statistic thrown around that YouTube is “the number two search engine in the world“. Whenever I’ve heard that said, the common sense cell at the back of my brain (yes I probably do only have the one. I manage) has yelled “whaaaaaaat?” – and then got distracted by something more important, and not given it any more thought. Really? YouTube? People are using YouTube to find…everything?! So when a client quoted it again to me recently, I decided that the time had come to check this out properly, since it just didn’t ring true for me. So I set out to research the quote, and find out once and for all whether YouTube really is the number two search engine. And the answer is…..
At least, not using any sensible definition. Aha. That’s quite a big “if“, isn’t it?! The real significance of the original ComScore data was to show the vast number of uses that the search box on YouTube gets. This is interesting of itself, and as an indicator of the overall intensity with which YouTube is used. The comparison with Google searches is also perfectly reasonable, but the way it’s been used since, isn’t. Whenever I’ve seen that statistic referred to, often by social media gurus/experts/ ninjas of the “blind ’em with stats” variety, it’s almost universally taken to imply that YouTube and Google have similar significance in terms of a business’s marketing and visibility on the web, which is just not the case. That’s how we end up with headlines like YouTube, the monster search engine you can’t ignore; or The second largest search engine isn’t Bing or Yahoo. But here’s the thing: although it may not be a perfectly technically accurate description, for most people a “search engine” is a site they use to find relevant resources anywhere on the web. Although you can have a search engine integrated into a specific website, it generally wouldn’t be used in the same way; for example, I don’t think many of us would go to YouTube in order to look up the website of a restaurant – that’s what Google, or Yahoo, or Bing (hey, somebody must’ve used it at least once!) are for. 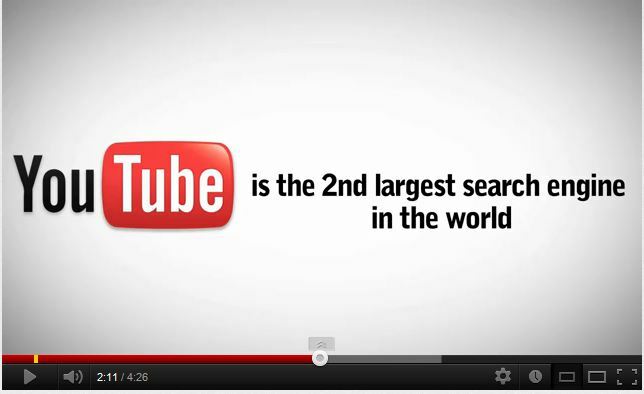 So there you have it – in the normal sense of the words, YouTube is NOT “the 2nd largest search engine in the world”. Buying Twitter Followers / Facebook Fans: Does it work?